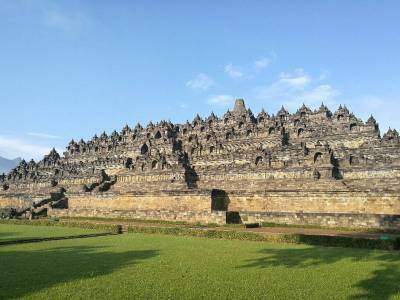 The world largest Buddhist temple is present in the Magelang city of the Central Java province of the South East Asian country of Indonesia, and it is known as Borobudur. 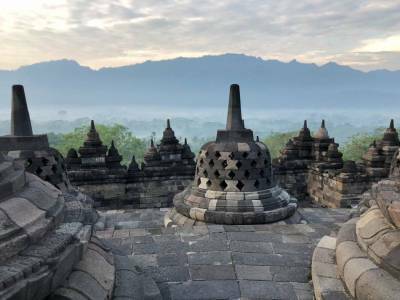 This Buddhist temple of 9th century CE is called Barabudur or Borobudur, is an architectural marvel that admixes the essence of various different form of art & sculpture with the indigenous ancestral culture form of Indonesia. 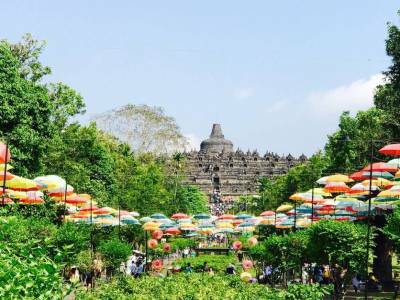 This effervescent sense of harmony between various cultures draws in a great number of tourist and travellers to the grand gates of Borobudur all round the year from all over the country and abroad. 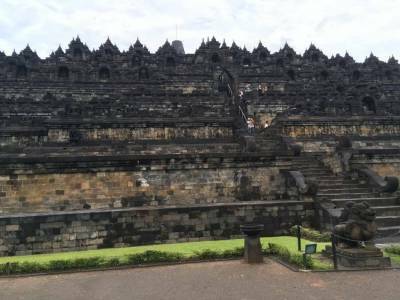 The Borobudur Buddha Temple is a grand architectural establishment that has yet to be surpassed by even the modern advancement. The main building of the Borobudur Buddha Temple is however a singular establishment with a stacked up concentric ascending construction having 6 square layers followed by three circular layers and a dome atop. The Borobudur Buddha Temple is at the top of a hill in Magelang looking so very majestic made with stone blocks. The basic engineering is that of a Lego structure but without any glue or joining undulation. This marvellous engineering is done by the craftsmen of Sailendra Kingdom. This is probably the reason why the Borobudur Buddha Temple has sculpture of Gupta period and other Indian influence besides the locale artistry as it had trade relation with Gupta Dynasty. There are 504 statues of Buddha and out of which some are perforated in the pillars. There are more than 2500 inscribed relief panels about the Buddha in the Borobudur Buddha Temple. The Borobudur Buddha Temple may very well be the single most vivid & complete depiction of the life and teachings of the Buddha. No wonder UNESCO bestowed it with the title of Ancient Seven Wonders of the World. Tourist can very easily reach this centrally placed grand establishment in Java and enjoy the glory of art, culture and science carved out by the pinnacle of our being. 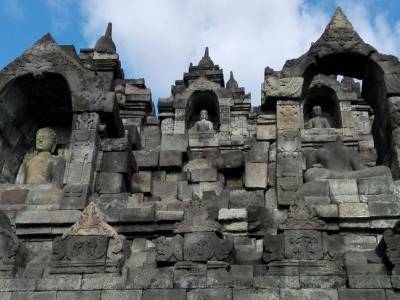 Get quick answers from travelers who visit to Borobudur Buddha Temple.